STUNNER! Partisan Mueller Team a Proven Sham! Sessions Must End Witch Hunt or Be Fired Immediately! Lead Story around the world: Michael Flynn has turned on Trump and will testify that candidate Trump directed him to make contact with the Russians! - Fake News story of the day. Thanks ABC News. 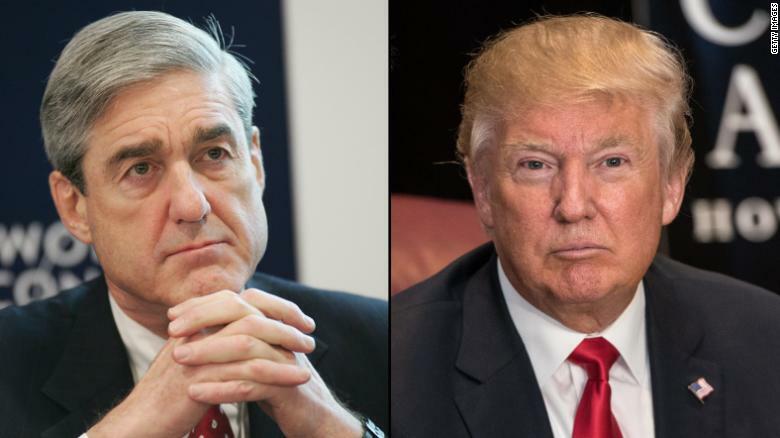 Lead Story around the world: The Mueller investigation has subpoenaed Trump's banking records from Deutsche Bank. - Fake News story of the day. Thanks Bloomberg. Here is what is not fake news, and remains incredibly under-reported: The Mueller Special Council is a total sham against the President and therefore against We The People and our Democratic Republic. Mueller himself has a conflict of interest regarding the unconscionable Uranium One sale that gave 20% of our nation's uranium to Putin and the Russians. We have also known for quite some time that at least nine of Mueller's 16 investigators were donors of Clinton in the last election and reportedly none were donors to Trump. But now, as you will see and hear in the video below, it's becoming even more clear that the depth of their partisanship is more than just problematic for a supposed fair, "justice is blind" investigation of the President of the United States. It is indeed a witch hunt and it has ties all the way back pre-election to the Clinton email scandal. A new prominent investigator has also come to light with astonishing ties to several scandals. Besides Andrew Weissmann, the Clinton donor and number two investigator behind Mueller who has unbelievable issues of his own, Peter Strzok a slimy (he is reportedly having an affair with another Mueller investigator, Lisa Page) will be a name that we will be hearing a lot more of in the days and weeks to come. Report: “ANTI-TRUMP FBI AGENT LED CLINTON EMAIL PROBE” Now it all starts to make sense! In lieu of these new findings, if Jeff Sessions does not step in and put an end to this so-called "investigation" and do so within the next 24-48 hours, then the President must fire Sessions immediately. The American People lost faith in the FBI and the Justice Department under Obama, and the trend seems to be continuing under the Sessions Justice Department. Sessions is to blame at this point and not the President because the President clearly wants to see action and has been at odds with Attorney General from the outset of his Administration. Incidentally, I can't say enough about Sean Hannity and his two shows over the past 18 months in particular. With a huge platform, he literally destroys the fake news propaganda surrounding Trump on a daily basis on both his radio and TV show. In a sea of deception and false reporting, it is good to know there is one voice with a platform trying to make a difference, and he is. -W.E.